As a signatory to the Convention on Biological Diversity, the UK is committed to using a set of indicators to report on progress towards meeting international targets. The UK Biodiversity Indicators 2014 review shows long-term bad news for farmland and woodland birds and butterflies. The links below take you to the latest updates to the Warwickshire, Coventry and Solihull Biodiversity Action Plans. These plans were compiled between 2012 and 2014. There are 51 biodiversity action plans for Warwickshire, Coventry and Solihull, 28 for our vulnerable species and 24 for our characteristic habitats, ranging from woodlands and wetlands to urban and rural settlements. We all depend on water, oxygen and food which are provided by the variety of habitats and species around us. The quality of our lives is greatly enriched by wildlife and it has been shown that contact with wildlife and open spaces improves our health and well-being. Yet our biodiversity faces great challenges from the activities of people. The need for homes , food transport and jobs has inevitably led to the loss of species and habitats. We need to restore and rebuild biodiversity. The 1992 Rio Earth Summit was the first international attempt to do this. Over 150 countries pledged to conserve their dwindling biodiversity and by 1994 Britain had published a UK Biodiversity Action Plan and encouraged local people and organisations to form partnerships to produce and deliver their own Local Biodiversity Action plans. The framework for considering biodiversity within UK legislation / regulation is provided by the Natural Environment and Rural Communities (NERC) Act 2006. This placed a duty on local authorities and other public bodies to consider the conservation of biodiversity when carrying out all of their functions in order to raise the profile of biodiversity. One hundred and ninety-three states and the European Union are parties to the convention which recognized for the first time in international law that the conservation of biological diversity is "a common concern of humankind" and is an integral part of the development process. Its objective is to develop national strategies for the conservation and sustainable use of biological diversity and it is often seen as the key document regarding sustainable development. Importantly, the Convention is legally binding; countries that join it ('Parties') are obliged to implement its provisions. it was an overall conservation target aiming to halt the decline of biodiversity by the end of 2010 as a contribution to poverty alleviation and to the benefit of all life on Earth. despite some successes, by 2010 the world had largely failed to achieve a significant reduction of the current rate of biodiversity loss at the global, regional and national level . a review of England’s wildlife sites and ecological network, chaired by John Lawton. it argued that 'we need a step-change in our approach to wildlife conservation, from trying to hang on to what we have got to one of large scale habitat restoration and recreation, under-pinned by the re-establishment of ecological processes and ecosystem services, for the benefits of both people and wildlife'. on 22 December 2010, the UN declared the period from 2011 to 2020 as the UN Decade on Biodiversity. A revised and updated Strategic Plan for Biodiversity, including the Aichi Biodiversity Targets, will be the overarching framework on biodiversity. The Conference of the Parties agreed to translate this overarching international framework into national biodiversity strategies and action plans within two years. In the UK, in 2011, Defra's ambitious 'Biodiversity 2020: A strategy for England’s wildlife and ecosystem services' provided a comprehensive picture of how we are implementing our international and EU commitments. It sets out the strategic direction for biodiversity policy for the next decade on land (including rivers and lakes) and at sea, building on the successful work that has gone before, but also seeking to deliver a real step change. The core action is to ensure no net loss of biodiversity and ecosystems services. gives examples of how we – as individuals, organisations, governments – can work together to stop this loss, and bring back nature where it has been lost. We need to work together to rebuild our biodiversity alongside developments and land changes. Positive action is needed to conserve Warwickshire, Coventry & Solihull’s wildlife and habitats and reverse losses. ...already work in partnership. We need to work towards shared achievable objectives, understand each other’s concerns and secure the resources necessary for carrying out such work. But more is needed. Could you work for wildlife in your parish? If so, the Parish Biodiversity Action Plan will help you. It was written in 2007 as a booklet of ideas to help people start wildlife projects on their doorsteps as it translates conservation priorities into practical action for nature on the ground. The first of its kind to be produced in the country and now rather out of date, it is still a useful guide to conservation in many local communities. By 2007 when all Warwickshire’s ‘UK BAP’ Priority action plans had been reported on, the first Annual Report for the LBAP was produced; this was updated following the completion of the reporting programme as the ‘Where we are now in 2008’ document. In 2010 to celebrate the International Year of biodiversity the more extensive Warwickshire, Coventry & Solihull Local Biodiversity Action Plan Progress Report was produced. UK BAP priority species and habitats are those identified as being the most threatened and requiring conservation action. the original lists of UK BAP priority species and habitats were created between 1995 and 1999, and were subsequently updated in 2007, following a 2-year review to ensure that the lists remained up-to-date. selection of priority species and habitats followed consideration by expert working groups against a set of selection criteria, based on international importance, rapid decline, high risk, and habitats of importance for key species. In 2011 a major review of the LBAP was begun as many of the plans were seriously out of date, having been written between 2002 – 2006. In 2015 this process of making the plans more targeted and measurable was completed with all 52 action plans back on the website. The partnership has enlarged to over 80 and broadened with the addition of some local groups and businesses whose work has contributed many examples of ‘local action’ to the plans. Highlights are the recent appearance of community and school orchards, public involvement in the Churchyards and Cemeteries, Roadside Verges, Barn Owl, Common Dormouse and Bloody Nosed Beetle action plans and the writing of a new plan for Hedgehog. A new rolling programme of reporting began in 2015, starting with 8 action plans that showed considerable progress. This programme will continue until 2020 with 5 more batches of associated habitat plans and their species. A Progress Report will be produced annually. improvement of habitat for bees at 8 quarries with advice from Butterfly Conservation Warwickshire. our targets for Calcareous Grassland exceeded, with almost twice the target area now in favourable condition, and five times the target area restored mostly by scrub control. permanent colonies of the Small Blue Butterfly number 23, exceeding the Butterfly Conservation Warwickshire target of 20; the number of sites suitable for colonisation is now 41, a doubling of the target. a huge success for degraded Open Mosaic Habitats with 40ha restored, four times our 2026 target. it sets local targets in the 51 action plans. the action plans have clear measurable targets and connect local people and organisations that are ideally placed to deliver the necessary action. We have a wide range of organisations and individuals involved – c.80 - in the LBAP. This large number of members all involved in nature conservation ensures that we are working towards the same priorities. The partnership is chaired by the Warwickshire Wildlife Trust and was formed in 2001 to develop the Warwickshire, Coventry & Solihull Local Biodiversity Action Plan. Presentations from the latest Local Nature Partnership (LNP) conference are available here. In total, five conferences have been held for the members. Within the wider group is a Steering Group of 25 members who meet to discuss matters referred to them by the Chair of the LBAP. The Steering Group welcomes the involvement of new organisations and individuals. A small Core Group formed in 2005 to assist reporting on the progress of the action plans has been reviewing the action plans since 2012. The review is now complete and progress with the action plans is being reported on, in a rolling programme of c.9 a year, ending in 2020. David Brown, Marion Cornforth, Steven Falk, Tim Jobling and Phil Parr. 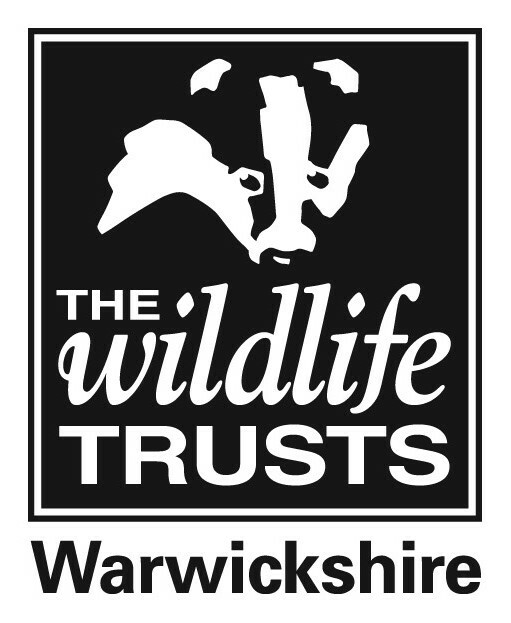 The project would like to gratefully acknowledge the financial and in-kind support of the following organisations for the period 2001 -2011, with Natural England providing funds for a part-time coordinator role; Warwickshire County Council also provides IT support.